New market research report “Market Opportunities and Business Strategies in Private Label Branding in Brazil” worked out by BRICdata has been recently published by Market Publishers Ltd. According to the report, private labels accounted for a market share of 3.8% in Brazil in 2007, but this figure grew by 0.7% during the review period to reach a market share of 4.5% in 2011. Private labels accounted for a market share of 3.8% in Brazil in 2007. This figure grew by 0.7% during the review period to reach a market share of 4.5% in 2011. The worldwide financial turmoil resulted in consumers becoming more value-conscious. Brazilian buyers, in particular, have increasingly started trying private label products at the cost of branded ones to save on their grocery expenditure. Retailers have adopted a new strategy regarding the positioning of their private labels. Operators are now introducing more sophisticated products under their private label brands to directly compete in the premium market alongside national brands. Through 2016, driven by consumer demand for high-value products, private labels in Brazil are expected to record positive growth. New market research report “Market Opportunities and Business Strategies in Private Label Branding in Brazil” worked out by BRICdata has been recently published by Market Publishers Ltd.
case studies of the leading private label retailers in Brazil. Companies mentioned in the report include: Carrefour, Walmart, and Grupo Pao de Acucar. 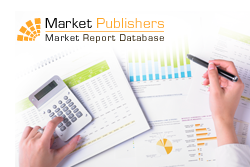 More new market research reports by the publisher can be found at BRICdata page.